Another reason why Austin is so great: people here go all out for halloween. EVERY single person out was in full costume! I saw Steve from Blue’s Clues, Kora from the Last Airbeneder spin-off (brownie points for you if you know what that is), and lots of cats. 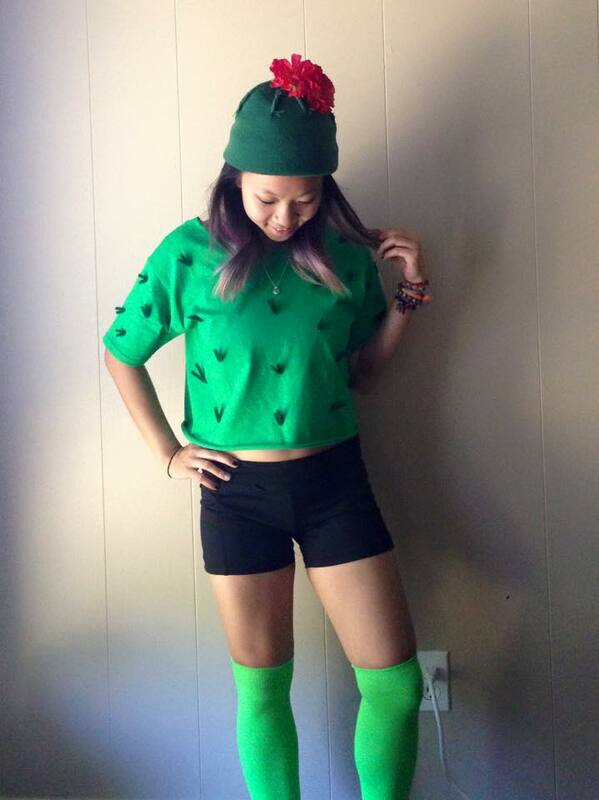 I’m proud to say, though, that I was the only cactus out and about. Halloween really creeped up on me this year (pun intended). ‘Twas the night before Halloween and surprise, surprise, I still hadn’t gotten my costume together yet. It was one of those what-can-I-put-together-last-minute kind of halloweens. For my costume, I wanted to look sharp, and poke out of the crowd. 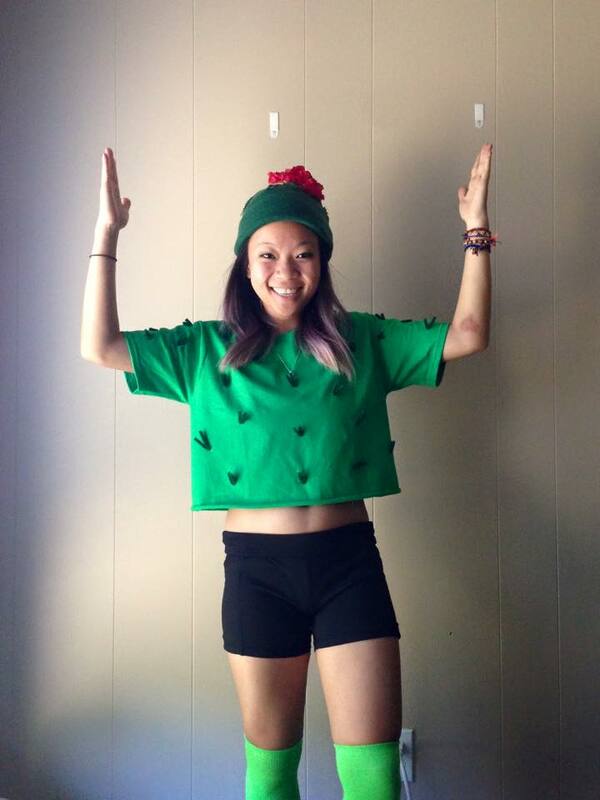 What better way to honor of my desert heritage and celebrate my first halloween in Texas than to roam the bar streets as a cactus? 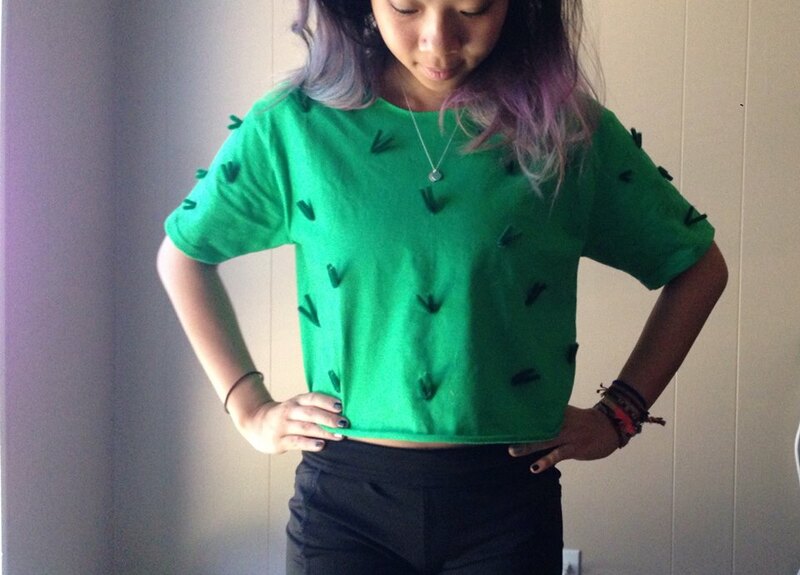 While I love the greenery in Austin, I do miss seeing those prickly succulents everywhere I turn! This costume was actually surprising easily to put together in a short amount of time and only required a few inexpensive items. I can say this confidently because I made this a couple hours before going out on Halloween night (I blame the procrastinating college-side of me that has been suppressed for the past year). 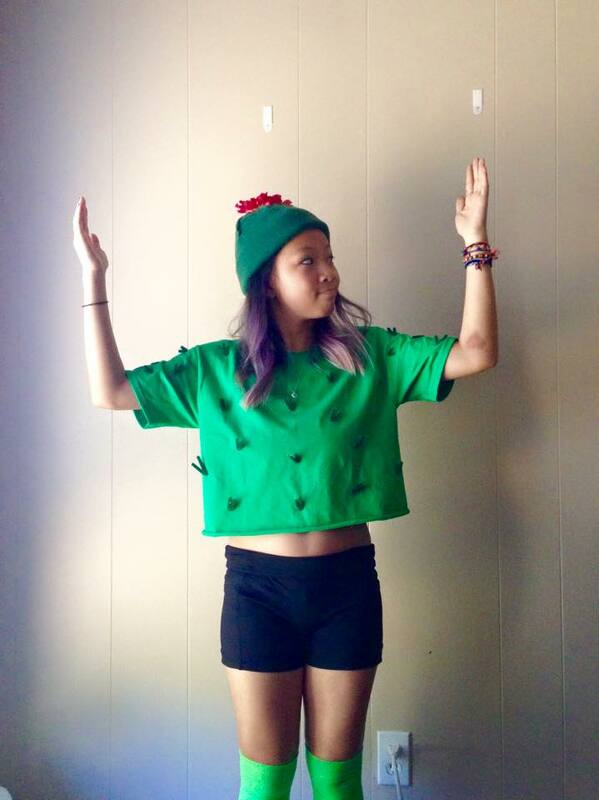 I bought the green shirt from Walmart and cut it into a crop top. It was actually a large size child’s shirt (which is cheaper), so I also cut the collar off for breathability. 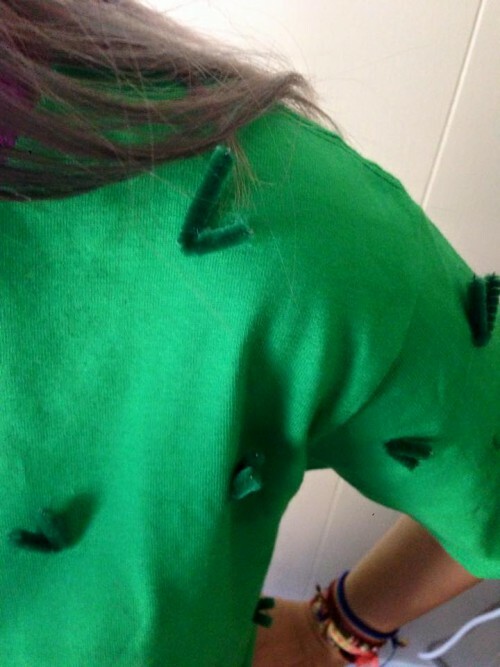 For the spokes, I used green pipe cleaners and hot glued them onto the shirt. To top it off – so much puntential in this post! 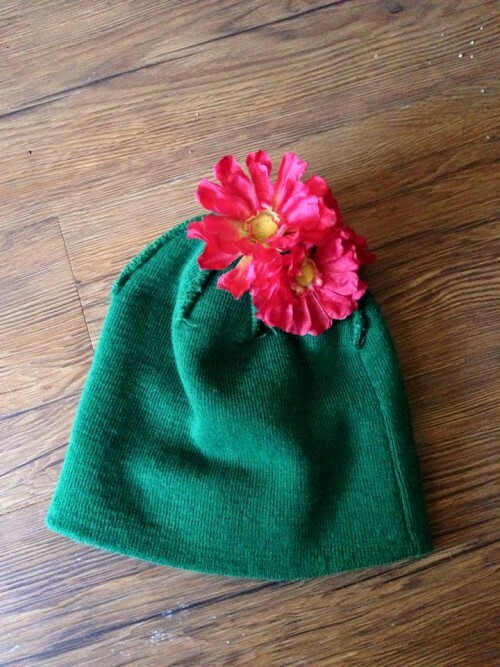 – I used fake flowers and a green beanie I found at Savers, which I actually turned inside-out (the outside said “West Coast Choppers” accompanied by dollar signs – a fabulous find, but not cactus-material). I paired my saguaro cactus look with black shorts, green knee-high socks, and my go-to brown ankle boots. Thank you! It was a fun costume to put together!